Sensei Bob Dobrow began his karate training in New York City in 1984 under Hanshi Robert Scaglione. Sensei Dobrow is the former shihan of the Ueshiro Northfield Shorin-Ryu Karate Dojo, founded in 2008. 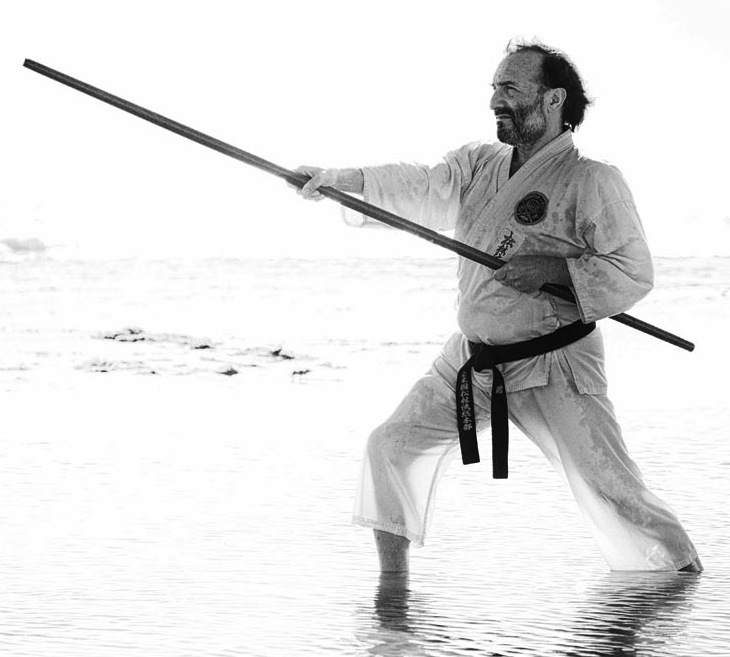 He is a practitioner of the roku-shaku bo (six-foot wooden staff). He was promoted to the rank of Yon-Dan (fourth degree Black Belt) in May 2016. 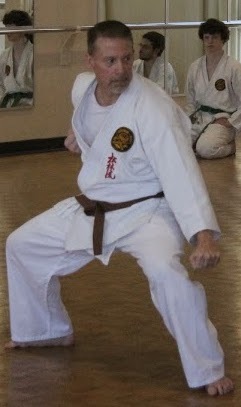 Sempai Steve Hatle began training in 2008 under Sensei Bob Dobrow. 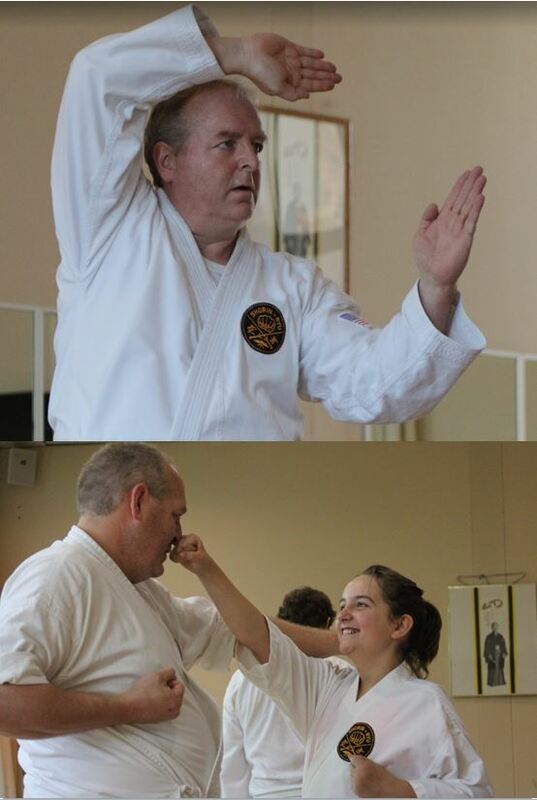 Sempai Hatle became the shihan (director) of the Northfield dojo in 2017 after Sensei Dobrow relocated to Duluth Minnesota. He was promoted to Ni-Dan (second degree Black Belt) in May 2016. Sempai Hatle lives in Northfield, and is married to Jeanne. He is an Operations Manager at Pearson/VUE in Bloomington, MN. 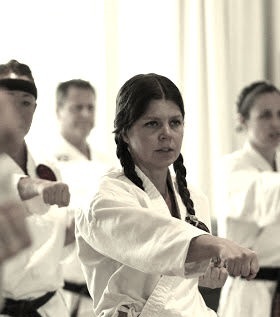 Sempai Brenda Hellen began training in 2011 under Sensei Bob Dobrow. She was promoted to Sho-Dan (first degree Black Belt) in May of 2016. Sempai Hellen lives in Northfield with her three children Miles, Iris, and Meryl. 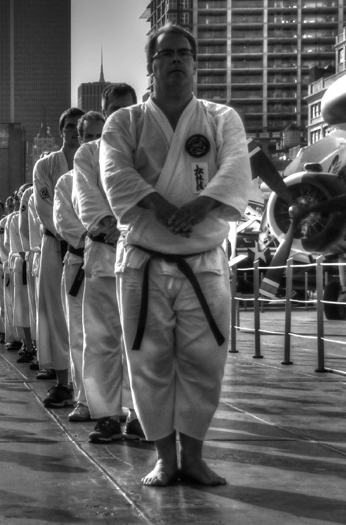 Sempai Scott Sijan began training in 2011 under Sensei Bob Dobrow. He was promoted to Sho-Dan (first degree Black Belt) in May of 2016. Sempai Sijan lives in Lakeville and is married to Kathy, with two children Devin and Kelsey. He is a Senior Account Manager at Givaudan Flavors based out of Cincinnati, Ohio. Sempai Guy Lawrence begin training in January 2012, with his daughter Bella, under Sensei Bob Dobrow. He was promoted to Sho-Dan in September 2017. Sempai Guy lives in Northfield with his wife Julie, and 2 daughters Kaitlyn and Bella.